go sell crazy somewhere else: WHAT IS WRONG WITH PEOPLE???? Today, I saw this post on Facebook....made me sick. 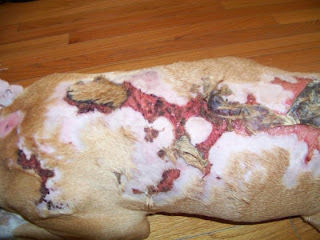 Someone burned this poor dog... took pleasure in causing this animal unbelievable agony. I'm sharing this story, so donations can be made, or in case someone knows who did this... This 'person' needs to be prosecuted to the fullest extent. What kind of human being could do this? What possible pleasure could someone get from such cruelty? This poor dog, just an innocent puppy. My sister fosters for this organization, they are a wonderful rescue. 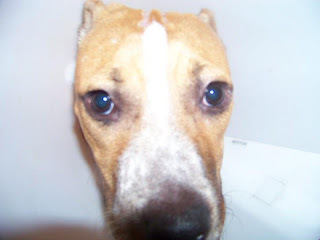 IF you can, donate, please help this poor baby, 'Mandy'. It's easy, just go here ~ even $1. is helpful! !